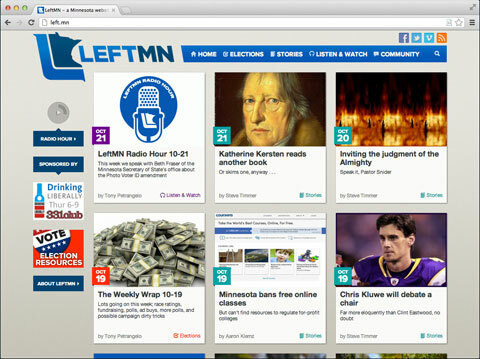 I’m currently building sites for a few progressive campaigns, and I’m happy to announce the launch of the first of these. 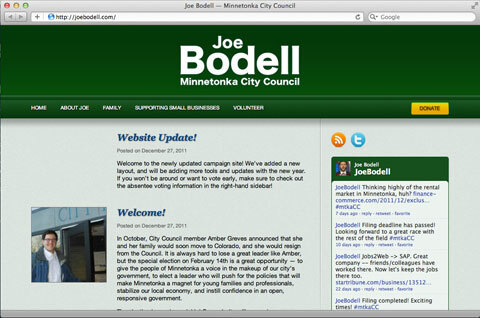 I recently did a little identity freshening for the Joe Bodell for Minnetonka City Council campaign site. 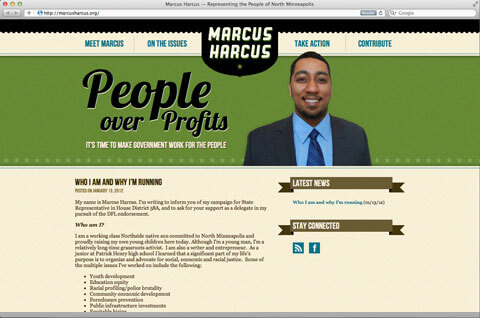 Joe is a strong progressive who is maybe best known as one of the founders of the Minnesota Progressive Project. 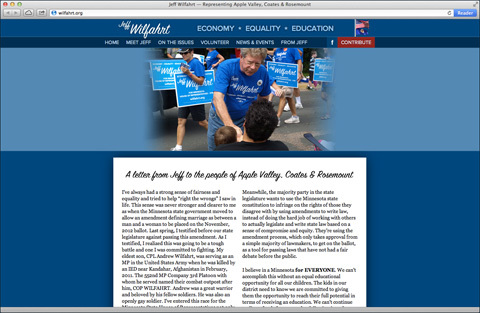 I got introduced to Joe and his campaign via Tony Petrangelo, another MN Progressive Project contributor and fellow web developer, who suggested Joe’s site could use some work. Check out the result of my handiwork at joebodell.com.